We specialize in documenting your baby's precious first year of life. Your Baby's First Year is marked by rapid growth and incredible physical changes. 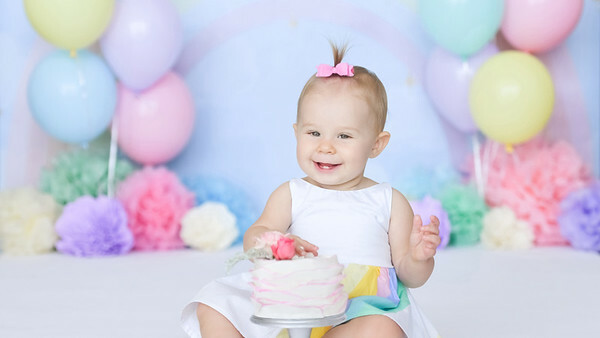 As the Premiere Baby Photo Studio in Los Angeles for over a decade, with thousands of babies photographed, we will professionally document each of these amazing milestones in photographs that your family will treasure for generations. Give us a call to start planning your baby's first year of portraits. We book up months in advance for newborn due dates. Photo Session fees include your in-person session planning appointment, baby's outfits, props and accessories, and your photographer and assistants' time. Location, sibling weekend and twins fees apply. Product & Digital Collections start at $995 per session, which is our minimum purchase requirement. All products - including digital files - are separate from your Session Fees. Newborn sessions take place between 5-10 days after birth to ensure those sleepy, snuggled-up poses. Please give us a call to have your due date confirmed on our calendar. We typically book up months in advance since we only accept three due dates per week; however, we do often have last-minute availability. To confirm your due date we require a non-refundable 50% deposit of your session fee. Once the baby is born we will schedule a date for the newborn session. Your newborn session and the full year of pictures is custom tailored to you and your baby. About a month before your due date, we will meet at our studio to discuss style, colors, props and wardrobe. We specialize in creating custom sets that reflect your style, nursery colors, hobbies, or any unique ideas you may have. All of the outfits and accessories for your baby are included with your session. Most of the hand knit soft props and wraps are made of 100% natural organic yarn. Everything is washed after each session with detergents that are free of harsh chemicals. "The Pod Photography is your go-to location for the most professional and stunning baby photos in Los Angeles. The entire staff is one of the nicest group of people I've met, and not only did they treat our baby with the utmost care, the studio was stocked with coffees, cappuccinos, teas, cookies and snacks. This company is first class all the way, and I would recommend them above all others to shoot my baby, and when she gets older, our family portraits. Five Stars!!!!"